Super Savings Item! 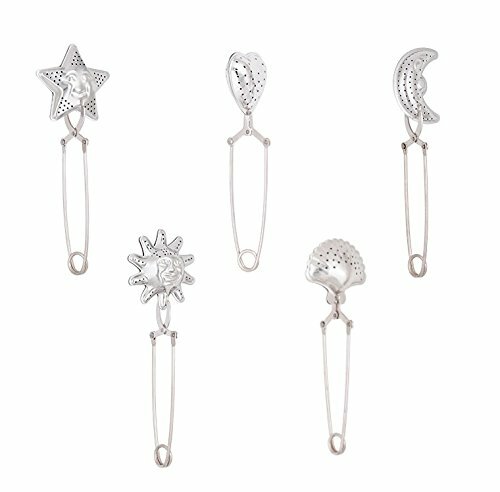 Save 35% on the Astra Gourmet Set of 5 Long-Handled Silver Stainless Steel Tea Infuser/Tea Filter/Tea Ball Mesh Strainer Gift Set (Star/Moon/Shell/Sun/Heart) by Astra Gourmet at Jakis Cafe. MPN: TEAFUSERS-6PCS-SV. Hurry! Limited time offer. Offer valid only while supplies last.